The combination of results that gave Cardiff a mountain to climb over the past few days were catastrophic for both Huddersfield and Fulham. While they were never going to survive their demise was brutal with Huddersfield going down after their defeat at Palace on Saturday and Fulham's final hopes were extinguished by defeats against Man City and last night at Watford. Huddersfield became only the second team in Premier league history to be relegated before the clocks changed. 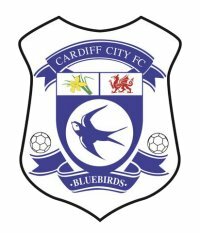 So if the Premier League is to see a relegation battle then Cardiff are going to be the team that provides it.